IMHO Paul Ryan would be a great choice. He would eat Bide alive in a debate. I’m reliably informed that Representative Paul Ryan of Wisconsin, the Budget Committee chairman, has submitted paperwork to the Romney campaign. Sources confirm that he is being vetted for the vice-presidential nomination. Ryan, one of the GOP’s brightest young stars, is clearly a favorite of Romney allies. But some top Republican officials are wary of plucking him from the House, where he is the party’s most influential voice on fiscal issues. 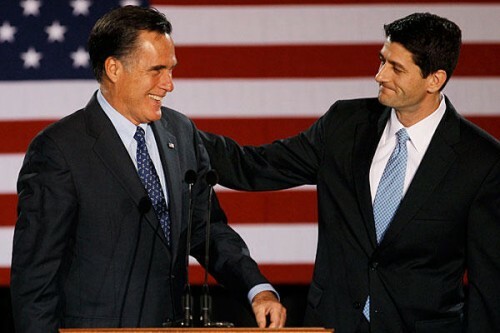 Earlier this week, Romney campaigned with Ryan in Janesville, Wis., Ryan’s hometown. Ryan previously stumped for Romney in late March and early April, ahead of Wisconsin’s Republican presidential primary.